Organizing a study trip, a 40 hours per week job? December 1996, having been a member of Aerius for more than a year I decided I wanted to become an active member. Several activi-ties and project were ready to be launched and it was hard for me to choose. Jeroen, our president had an idea for the next study trip. After his internship with TMI he had established some good contacts in the Miami region and nowadays Miami is developing into a hub for the Americas. Cargo (Freight and mail) and passengers from Europe and the United States to Latin and South America have now another hub option namely Miami. So Miami became a very interesting place to visit I decided to become a member of the Florida study trip committee. It’s ten o’clock a.m. on Tuesday the 20th. of January when I arrive at the Aerius office. As usual, I check the email, the answering machine and my mailbox. In my mailbox I find a facsimile from Miss. I. Graafland, the English corrector for all the articles in the Aerlines. I wonder what she has to say: Dear Ronald, if you can’t find any inspiration for your President’s speech you can … “Oh no, Presidents speech, of course, I am the President now, I have to write a speech for Aerlines number 14. There is no Jeroen to fall back on, I cannot ask him if he wants to write an other one. It’s up to me, lets get started then. So here I am, sitting in a train writing my first President’s speech and what do I have to say. Well, first of all, I wish all the readers of the Aerlines an healthy and prosperous 1998. It’s already 1998 for a few weeks now but better late than never. 1998 will be an important year for Aerius. Not only will we continue with our activities like visits to companies and excursions but we have, as a result of the successful study trip to Florida, a new sponsored study trip planned in May to Dubai in the United Arab Emirates. An important topic will also be the expansion of our library and to plan the future for Aerius. We are now three and a half years on the way and its time to secure the continuity of Aerius. The people that were involved from the first hour have now all left the building and a new team has taken on the challenge to keep Aerius flying. We are busy forming a concrete plan for the next three years. Not the interest from the companies will be a problem for the coming years nor finding students who want to become a member of Aerius, but finding students who want to run Aerius as active members. Sure, we have a board of five students now, but not everybody is staying with Aerius as a boardmember in September 1998. That means that a clear structure and a solid plan will have to be formed by September 1998 so that coming board members know what they have to do to keep Aerius flying and don’t need half a year to get familiar with procedures that keep Aerius alive. The problem is finding those students who want to get actively involved. There are a couple of students who showed some interest in an function in Aerius but they all have to deal with their study and of course their 21 studycredits, and usually a job to get some bread on the shelve. Since the introduction of the obligatory 21 studycredits system, students want to do something next to their study and train their social skills and meet interesting people from the aviation industry but on the other hand they barely have the time for it and want to finish their study as soon as possible. We are receiving support from the University in form of a scholarship, so that one board member can lengthen his study by one year without having to earn 21 studycredits. But one board member is not enough to run Aerius. Still, it must be possible to do at least one year as an active student member. It may not give you extra credits but it sure will help you develop your social skills and it will certainly look good on you curriculum vitae for your job search after your study. After all it is not a completely coincidence that almost every former board member found a job in the aviation industry. With this in your mind I urge every studentmember to let us know if you have any interest in becoming active. Trust me, it will be a time worth wile spent. Lambert St. Louis International Airport is the home base for our Airline of the World of this issue. Established in October of 1923, Lambert-St. Louis International Airport is now the 3rd fastest growing airport in the world. Lambert is the 11th busiest airport in the U.S. for aircraft operations and 15th in total passengers. The airport sits on 1,980 acres and currently owns an additional 800 acres through its Noise Mitigation/Land Acquisition Program. Lambert has 83 gates serving 9 major airlines: America West, American, Continental, Delta, Northwest, Southwest, Trans World, United and USAir; as well as 5 commuter airlines, 4 charters, and 9 cargo operators. In 1994, there were 479,943 aircraft operations, and 23,362,671 passengers passed through Lambert. In May 1995, there were approximately 1,354 daily departing and arriving flights. Among the major airports in the country, Lambert boasts the 2nd lowest operations and maintenance cost per enplaned passengers at $4.66. 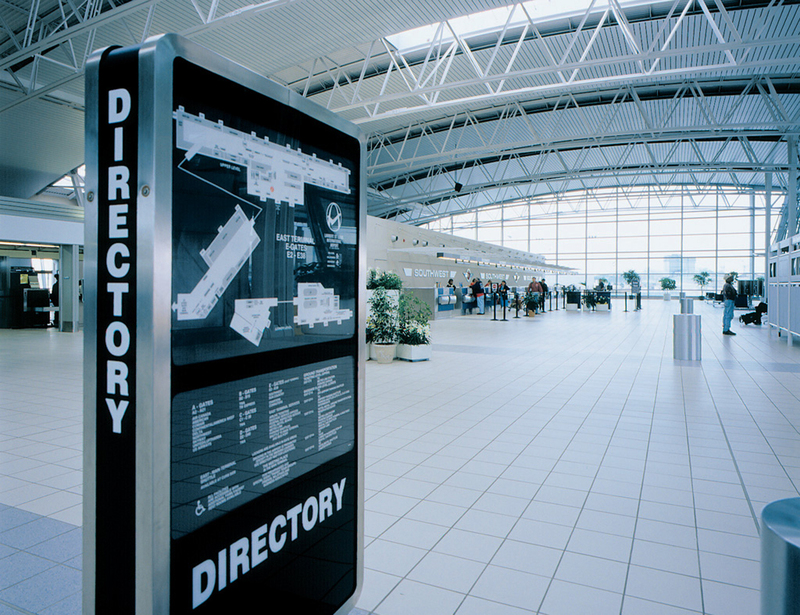 The airport has a $4.5 billion economic impact on the St. Louis region. Lambert employs over 19,000 people through airlines, vendors, service companies, and the City of St. Louis. Of the 19,000 employees, 606 are City employees.